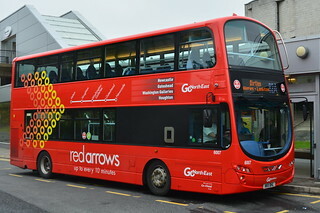 Livery: Go North East - No Change? 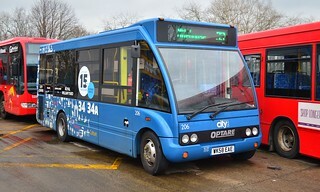 Following the entry into service of the three new Optare Solo SR M790SE vehicles on the Durham County Council contracts at Chester-le-Street, this vehicle has transferred from Chester-le-Street Depot to Washington. 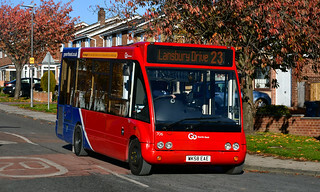 At Washington, it will be allocated to the Nexus-secured 23 service, operating between Washington Galleries and Barley Mow Estate, via Birtley and Wrekenton. Following the entry into service of Optare Solo SR M790SE/Optare 715 (NK18 EEA) and 716 (NK18 EEB) at Chester-le-Street on Durham Cathedral Bus services 40/40A/40B, this vehicle has transferred from Chester-le-Street Depot to Washington, where it will be allocated to Nexus-secured service 23, operating between Barley Mow, Birtley, Wrekenton and Washington Galleries, enabling the release of the Optare Solos temporarily allocated to Washington back to their respective depots. 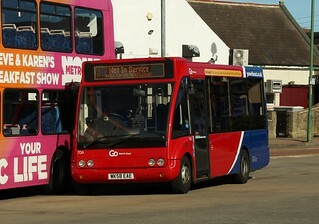 With its place on the Tesco Free Bus contract at Stanley being taken temporarily by Optare Solo SR M890/Optare 696 (YJ13 HOH) from Crook, this vehicle has transferred from Stanley Depot to Chester-le-Street. 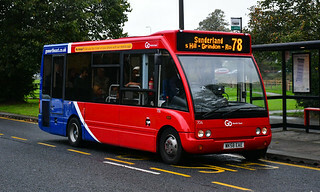 At Chester-le-Street; this vehicle should be allocated to the Chester-le-Street Town Services 700/701/702/703 and scholars service 876, supported by Durham County Council. 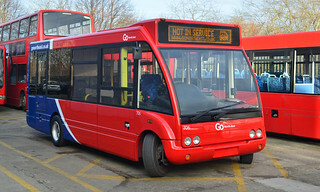 This vehicle has been fitted with a rear advertisement to promote contactless payments being available on Go North East's buses, similar to those fitted to the rear of the "Venture" branded Optare Solo SR M890 vehicles. 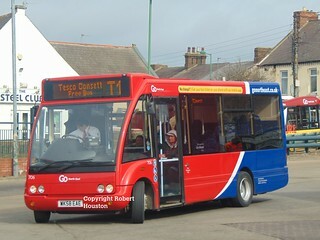 This vehicle has entered service at Stanley Depot; where it will operate the Tesco Consett T1/T2 services, replacing Dennis MPD/Alexander Mini Pointer 604 (NK54 NTY) currently allocated to these services at present. It has also received the tagline "No change? | Get your bus ticket on your phone with our mobile app"
Prior to entering service, this vehicle has been repainted into Go North East's new corporate livery. 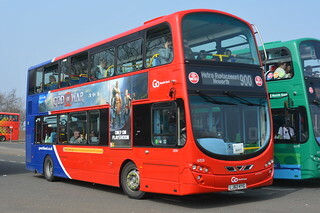 New to Western Greyhound of Summercourt as fleet number 701 in January 2009, this vehicle passed to Plymouth Citybus in December 2014 where it gained fleet number 206. 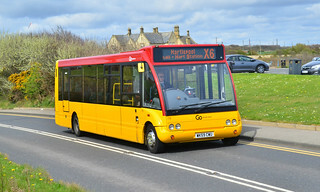 This vehicle has now been acquired by Go North East, where it has received fleet number 706. It is currently undergoing preparation for service at Saltmeadows Road Depot.